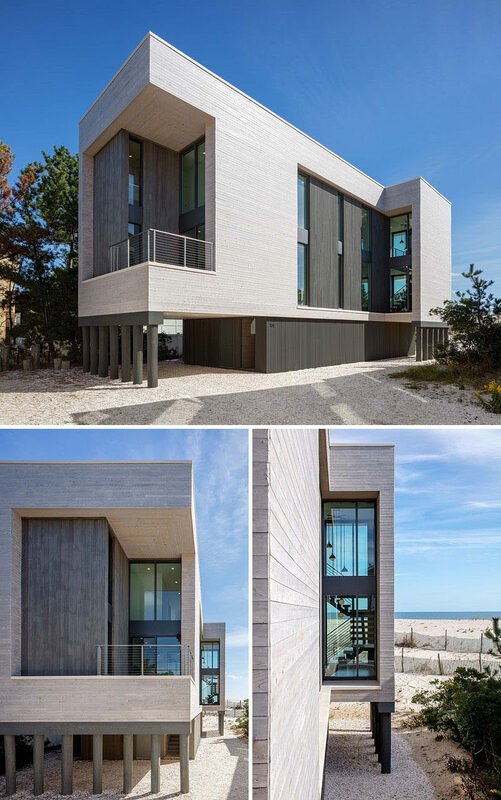 Specht Architects have designed this new contemporary house on Long Island Beach in New Jersey, that’s a replacement for a home that was destroyed in Hurricane Sandy in 2012. 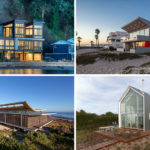 When designing the new home, the architects had to make sure that the house was designed in accordance with FEMA’s (Federal Emergency Management Agency) new rules and regulations. 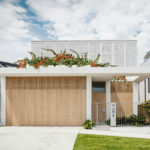 This resulted in a home that can be resistant to winds and storm floods. 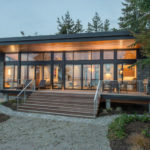 At night the house is lit up like a lantern with vertical windows allowing the light to shine through. 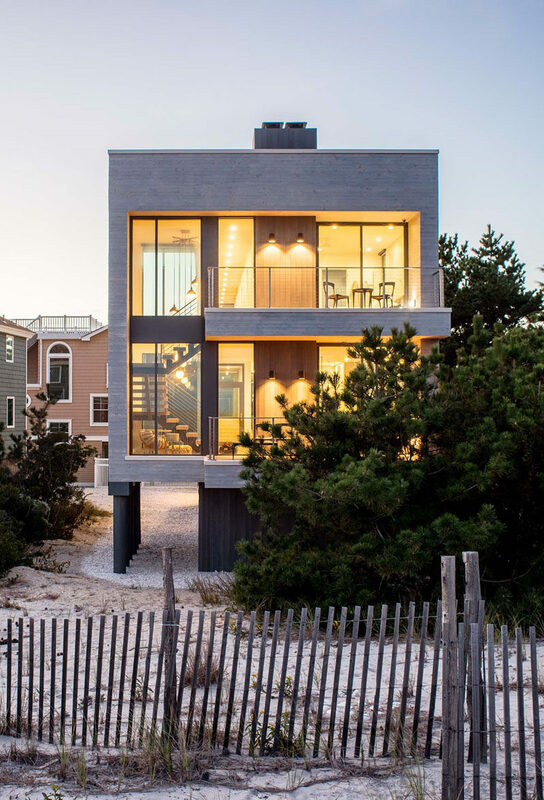 Here’s the view of the house from the beach side. Treated pine ‘telephone pole’ pilings were driven into the sand to assist in accommodating the high wind loads that the house may experience. 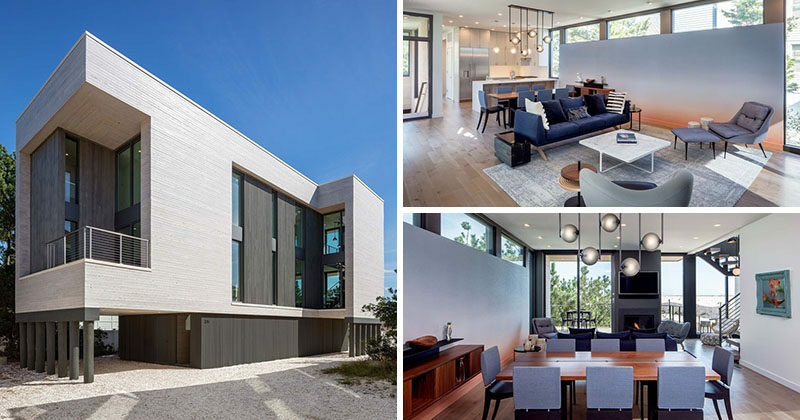 The family home was created to fit into the beach environment with a light wood exterior and black details. 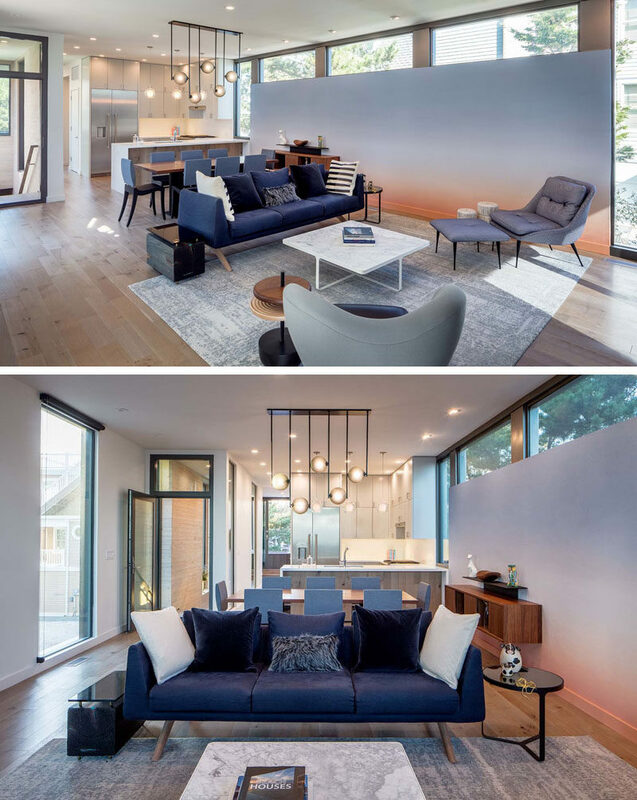 Inside, the main living, dining, and kitchen are all located in the same room, with a custom accent wall featuring a calming wallpaper installation by Calico Wallpaper. Above the dining table, a sculptural lighting fixture by Ladies and Gentlemen Studio, anchors the dining table in the open floor plan. 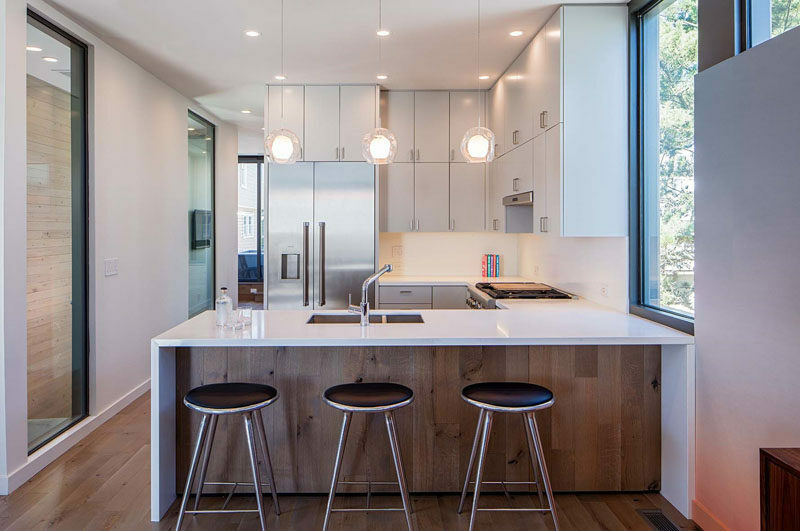 In the kitchen, the cabinets go all the way to the ceiling, creating plenty of storage, and part of the countertop overhangs providing a place for seating. 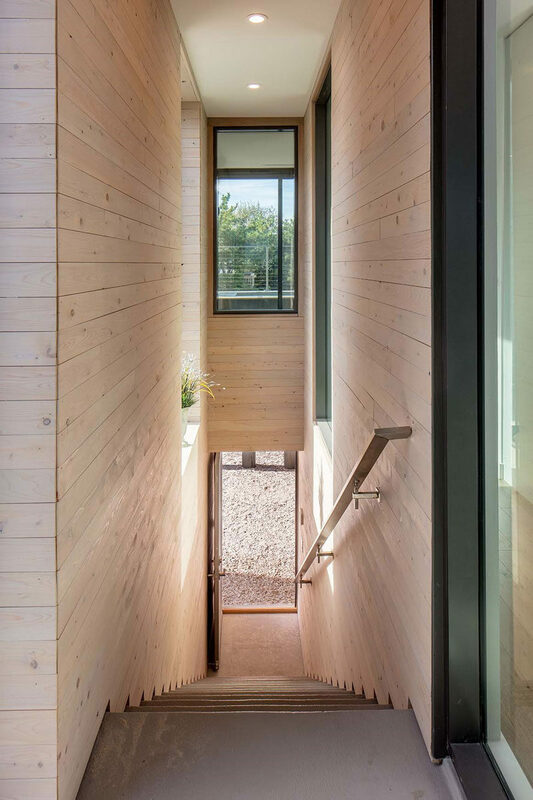 Wood and steel stairs lead to the upper level of the home and wrap around a stairwell light designed by Colony – Allied Maker. 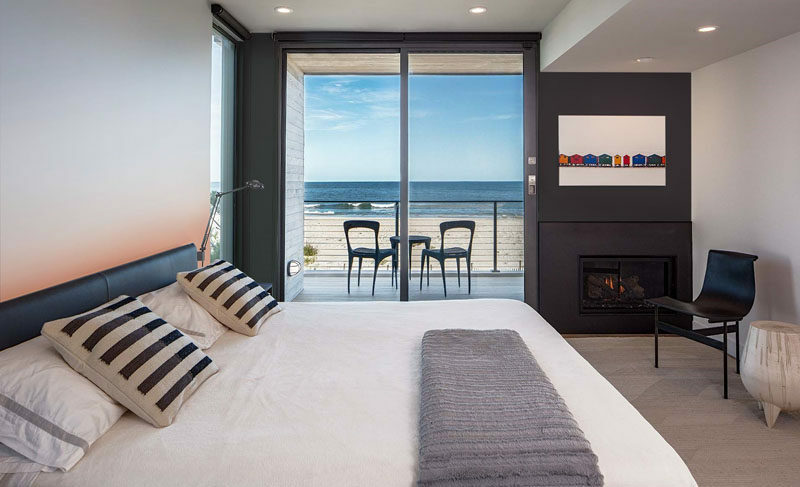 Here’s a look at one of the bedrooms that features a private balcony and fireplace.